Landmines are not a problem confined to the past. Women, girls, boys, and men living in countries from Angola to Cambodia, do so in daily fear from these savage remnants of conflicts that are often long since over. Landmines don’t obey peace accords or ceasefire agreements. They can lie in the ground for decades after the fighting has stopped, killing or maiming those trying to re-establish their lives and livelihoods. 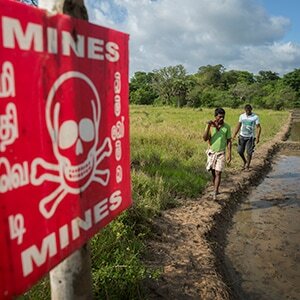 Tragically, global deaths and injuries from landmines have hit a ten-year high, with the latest available figures from 2015 showing a staggering 75% increase on those recorded in 2014. Landmines prevent people from travelling freely and safely, to school, to the market, to health centres and water sources. 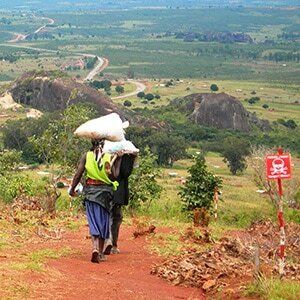 They stop impoverished communities from being able to use their land to grow crops and earn a living. They deny people displaced by war the chance to return home safely. When conflict is over, all most people want is to return to normality. Instead they find they cannot do so because their land is not safe: paths, roads, fields, villages, schools and other local amenities have been mined. If they return, at best they live in fear of injury or death, and may lose crucial livestock in a landmine explosion. At worst they step on a landmine and have one or more limbs blown off, or die. Despite dedicated work that has led to almost 30 countries now being declared free from the threat, landmines are not being cleared fast enough for the people who still live in constant terror from them. With the right will and support this problem can be dealt with. 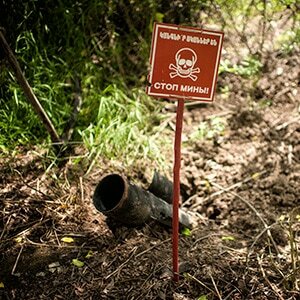 Help us to create landmine free 2025.